Mary Clark grew up as a Suzuki student, starting in the public schools in Des Moines, Iowa. She knew from an early age she wanted to be a violinist, due in large part to being part of a group music experience. She started teaching in high school when, after winning a competition, was asked by a participant to teach. 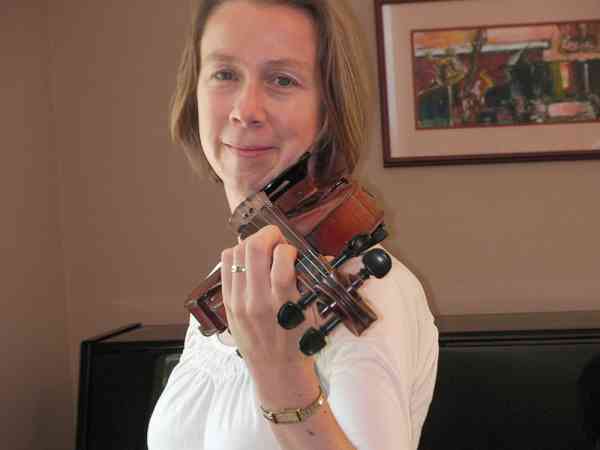 She received her Bachelor’s Degree in Violin Performance from Drake University and her master’s degree in performance and a public school teaching certificate from the University of Washington, where she studied with Steven Staryk. She has done her Suzuki teacher training at the Japan Seattle Suzuki Institute, studying under Cathy Lee. Mary taught grades 4-12 for Kent School District for 6 years and junior high school orchestra in Bellevue School District. She also has coached with the Seattle Youth Symphonies. Mary has performed professionally with the Des Moines Symphony (Iowa) and with various orchestra around the Seattle area. She currently has an active private studio and is the mother of a 7 and 9 year old.